Does not require you to make purchases before using the app. I’m satisfied give it a thumbs up! App has been a good way to keep my photos from prying eyes. This app does a very good job at keeping photos and images secure. My only issue with the app is that it takes up over 8 GB of storage for only having 19 videos and 1 photo in the app. For comparison, my iPhone camera roll has 5,696 photos and videos combined and only takes up 876 MB of storage. Like I said before, the app works great it’s just unfortunate that it takes up so much storage. After paying for premium the app quit working and keeps telling me my premium has expired, then if I try to renew it tells me I’m all set, then it goes back to telling me it expired. Now I can’t get into my albums and I messaged customer support and have heard nothing. Kind of want a refund but that’s not reality with app makers even though it doesn’t actually work. I will download every thing back to my phone and delete this garbage. Not recommended. This is written in the update info above “working tirelessly to improve the reliability and stability of photos”. If you are looking for a way to secure sensitive or sentimental photos please look elsewhere. I pay for the premium features and 75% (300+) of my PHOTOS HAVE DISAPPEARED. Isn’t this the whole point of the app? It’s like 75% of my money just disappearing from my bank account, how is this OK? I have tried to contact the company six different ways with no response. I am very sad for what I lost and hope others learn from my experience. Great place to store photos that need to be saved, yet can’t be on your phone for just anyone to see! My Premium Service Has Expired and Problem is I dont wanna ReCharge it but id does not let me Pass the payment step , Help pls I nearly lost All my Data ! Horrible app. Doesn’t transfer back and forth between app and iPhone photo app. Videos tend to fail to play with in the app. Dumped this app a long time ago. I’ve been using the app for years and I deleted it several times but one time the app decides to delete over 150 pics and videos. I want my stuff back!! Started with just the storage and I was satisfied enough to sign up for the $23.99 premium to have access all the other features and I’ve been trying for over two months to use the features but it just refers me to upgrade my package and when I try to restore my purchase it simply won’t let me. I’ve triple checked my App Store and I’ve been paying for the subscription but for apparently no reason. Tried to contact them through email and any other form of communication and I’ve had no response. Hate this ap. Can’t even get support. You just get form response to any question even if it does not have anything to do with your question. Be careful....they hold your pictures HOSTAGE. None of my pictures will load on my albums! Please fix this glitch, none of my pictures are showing :( it says I have no pics or videos just empty albums! I upgraded to premium and they took my money but never upgraded me. I tried everything and nothing works. I have used this app for a number of years on a number of devices and it has always been reliable. Gonna upgrade to the paying package. Excuse me how tf does this cost more than a week worth of food? I bought the premium. They took my money and never upgraded me. Then when I contact customer service they act like I never purchased it when I clearly showed them a receipt. Waste of money. I’m surprised they haven’t gotten sued yet. You can delete the app and download it again. With your email all your photos and videos come right back. I think it's perfect for storing pictures and videos. Great tool to keep things save just like the name, it really helps, love it. This app has been very easy for me to use so far, which is a good thing! I sometimes have difficulties with some of the apps I download, either because they turn out to be unnecessarily complicated, are designed for use by programmers who like it complicated and consider it a game to figure out, or are “buggy”. This app has been an unexpectedly easy to use, stable, and stress relieving feature for a “getting slightly older” person who prefers to think about ways to relieve his arthritis than how to use an app to help make his life a little easier. I am very happy to have discovered it, found it very helpful, and recommend anyone looking for an app for this purpose to give this a try! Great app . Photos are safe and secure. I love the application and the security it provides. I’ve never had the application fail or jam up!! Did the back up before getting a new phone. Logged in and lost all my photos that were in this app. Sent a request to the company and never got a response. I wouldn’t recommend using. Every time I open the app, it closes by itself after few seconds. I deleted the app and redownled it again but still not working. Crash on crash on crash. I’m paying for premium for what? Constant crashes... come on now. I’m a premium member also, I accidentally removed the app and upon signing in I don’t have all the photos I was supposed to have. The app deleted all my most recent pictures from the app entirely and I have no other way of recovering them. I am so furious. I accidentally deleted the app of my phone. When I downloaded the app again, all my pictures I had saved was gone from my account. I would give 0 stars if I had the chance. What is the point of having an app like this if it doesn’t save what you uploaded to your account. 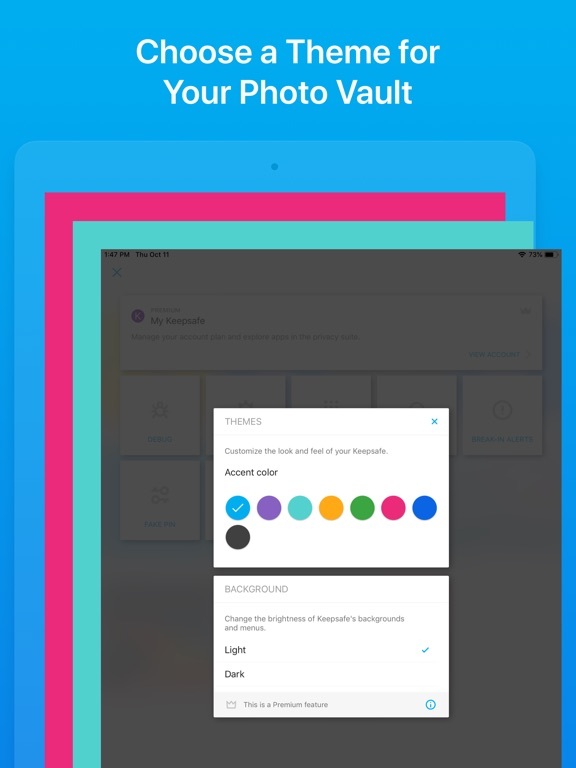 This app will keep YOUR stuff private and not fail! As soon as you swipe away it’s concealed. This app is absolutely trash. It hasn’t worked right for a while now. It seems to get worse with every apple update. It won’t import photos correctly. I have to close the app numerous times before it will finally import then it doesn’t ask do I want to delete the photos from from my phone afterwards. It also has imported photos to the wrong place when I’ve imported to a specific album. Now it keeps importing every single photo I have on my phone to the main album when I attempted to import only certain photos to a different album. I tried deleting the album I created but now it keeps importing to the main album and it won’t stop. Every time I delete the photos (like over a thousand photos) from the main album and try to import selected photos to the right album the app, it just keeps importing EVERY SINGLE PHOTO FROM MY PHONE TO THE MAIN ALBUM! I even tried closing the app or cutting the phone off to stop it but once the app is re-launched, it justs picks up where it left off. I’m not going to continue to keep paying for this app. I’ll find some other app to use. This app used to work flawlessly when I used the free version and had limited storage. The paid version that allows for more storage is the buggiest app I’ve ever used though. It freezes both my iPhone and iPad every time I open it. I’ve tried deleting the app and reinstalling, which made no difference, and have tried reducing the quantity that is stored. Considering trying another app, as every update seems to be even worse. Everytime I click on a picture it quickly shrinks. Don’t know why. i can’t take out everything that is in my trash folder &’ i have the premium payment plan . This app is great for keeping secret photos. I love the app ! It’s so WORTH getting TRUST ME ! Premium is the best there’s so many great features it has to keep your privacy private !! I had about 100 pics saved. Logged out for personal reasons. 2 months later I log back on. ALL MY PICTURES ARE GONE!!! when you pay for premium for one month does it keep paying automatically? or do i have to repay every month manually? As soon as you download the app you are automatically subscribed to KeepSafe Premium, and they don’t even have the decency to tell you that you’re subscribed or how much it costs. Deleting the app does nothing either. I currently can’t subscribe since I’m on a family account. BE CAREFUL! Awesome app for private content on your cell phone!!! This app getting worst every day no progress at all !! I have been using this app for probably around 10 years. And it is amazing and ridiculously simple. I really don’t know what all of these people are complaining about. This app works perfectly fine for me! 👍👍 Thanks Keepsafe for a wonderful product! This app is great for storage! You have the option to choose a custom color scheme for the display theme and choose between grid or mosaic display for media files in your albums. The app is compatible with photos, gif files, and videos. And the options to save photos/videos to your phone, move a file to a different album inside the app, and select an image as the album cover(s) are all wonderful features. And the option is given to delete files from your phone’s photo library once imported to help clean things up. The downfall, though, happens when uploading a video. Videos take a century and half to import. Understandably, they are larger files (especially when considering length of time) but it should take eight hours or longer to load. Importing videos seem to freeze the app. While you can still navigate in it, you cannot import anything for hours and hours when importing a video (even if it is ~20 sec) because the... well, I actually know WHAT it is but it’s inconvenient. All I can say is that the app is great. Except for this one critical piece that it claims to support. A couple other things: 1) It would be nice to be able to crest an album within an album. 2) It’s a bummer that the timer lock screen is no longer available. And even when it was, there wasn’t a slick way to discreetly add the feature to use Touch ID when using that lock. The reality is that our phones are mobile intrusion devices into our lives which governments, thieves and nefarious hackers can use to steal our most private thoughts and data. Hence, I’m privacy-obsessed in regard to my phone. KeepSafe has been part of my protective arsenal for a few years now. 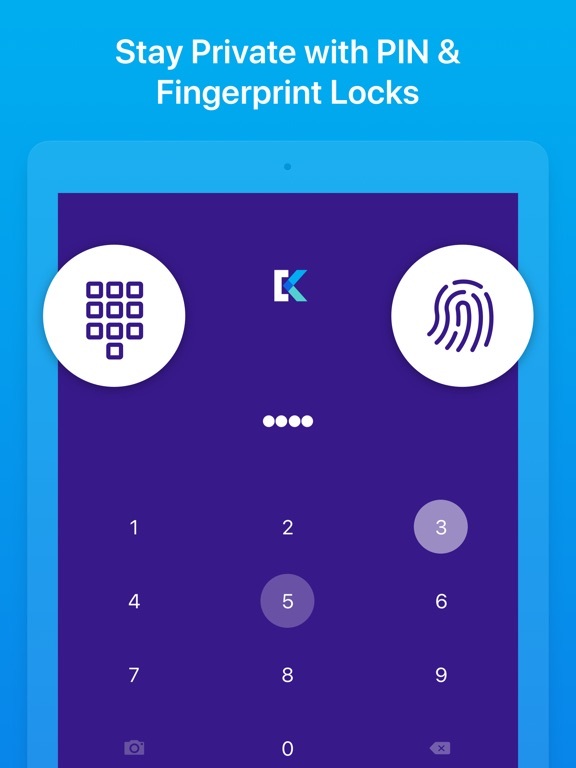 KeepSafe does a wonderful job encrypting snapshots of my unlock, Recovery and two-Factor codes; as well as drivers license, social security and other pictures and videos that would be very harmful if they got in the open. AES-256 encryption is the gold standard. You should NEVER settle for less. And that’s KeepSafe’s standard. Combine it with a VPN which never records logs - which they also make - and you’ve made it very difficult for intrusive others. Not impenetrable, as nothing is, but the encrypted data that someone can steal will at least be gibberish, indecipherable. I have been using this app for well over 2 years now to store some of my precious photos, the app is great even if you don’t invest money into it but theirs just one major issue, whenever I want to upload a gif or photo they always seem to be very small when I import them from my camera roll and it really annoys me. I double tap it or just zoom in more but it’s no use I always have to crop out the photo and sometimes it just makes it worse and with a gif it’s even harder because it’s all zoomed out and even if I zoom in to its max it’s still not as big as my screen... as it’s supposed to be. This issue has been here for ever and I just keep getting more annoyed so I decided to write this review so please fix this it’s one of its biggest app issues and I’m surprised they haven’t fixed it but overall great app for storing pics and videos just this one problem. I have been using KeepSafe for years and it has been completely reliable and bug free. I would recommend this app to anyone who wants a more secure place to store files. The only complaint is the now overwhelming amount of ads in the app. Now I do understand that ads are how the developer supports the free version of the app, they are a company who needs to see a profit after all. However, the amount of ads in the app for a free user is irritating. I get one (sometimes two) full screen find the X button after 10 seconds ad every time I move a file to the app. That is in addition to a bottom banner ad that is almost always there and additional full screen pop up ads while just using the app. I really like this app but the amount of ads is getting to be an issue that does affect the functionality of the app itself. 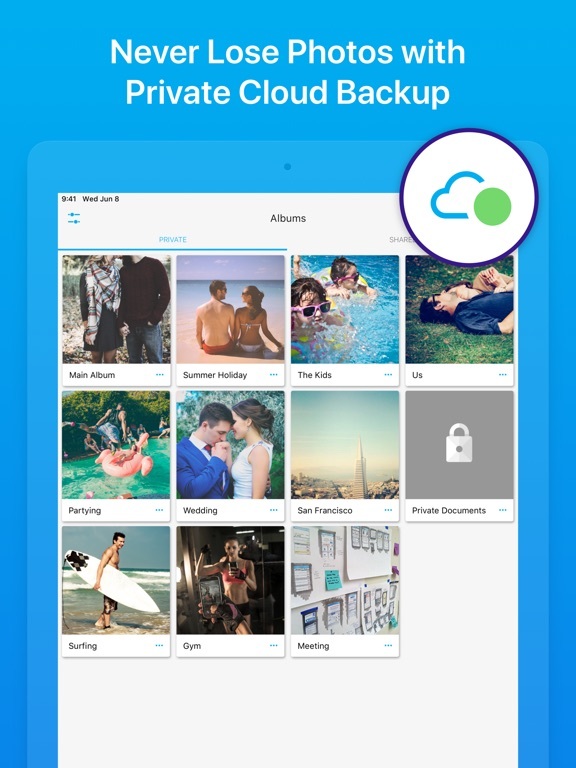 This is the best replacement app I have found for keeping sensitive personal photos and videos since my other app became defunct and unavailable. Still needs a lot of work such as naming individual files, option to keep some files locally and others on the cloud and the ability to import large amount of files from a computer such as by using the iTunes data import to get it into your iPhone/iPad. Right now I’m keeping part of my library on another app that I want to keep local, and keeping the rest that I want available on both the phone and the tablet (via iCloud sync) in KeepSafe app. I’m hoping they will keep developing until it becomes more fully featured but for now this is definitely the best there is in the App Store that I know of. Was great, not just crap.. This app use to be great; It did what it was intended to do.. keep certain files private. But then they went and added this “Shared” album crap. If I wanted to share the kind of files I’m using the app to hide, then I would just upload them to Google Photos or something. Also you can’t “copy” a file from one album into a “new” without it creating that album as a shared one... I DO NOT WANT to SHARE files so stop trying to force the crap feature onto paying users. And why cant I copy files to “non-shared” albums? I like to make a copy to a non-shared album so I can edit it, and keep the original where it is. 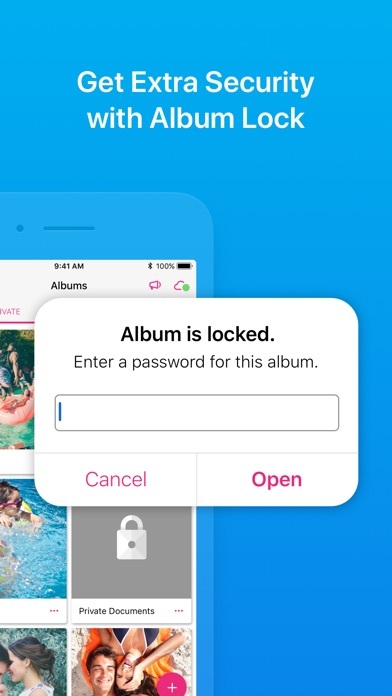 And you can’t “delete” shared albums, also if you try to leave the album (being the owner) it locks the app up. They should have left this app along, and added the “share” option to another separate one, or make a option to turn off all share features. Again, the app was great now it’s just crap. Be warned: DO NOT SUBSCRIBE TO THEIR SERVICES!!! They scam you into buying a full year subscription instead of a monthly one which you originally think you signed up for. But then you get a receipt for a full year payment!!!!! They think it’s alright to trick you into a full year fee through their monthly services. I am very confused how this is at all acceptable! I didn’t use the subscription for more than 15 minutes, so I contacted their customer services to ask for a refund, yet they were vulgar, and unhelpful in all aspects. All they think about is money and they don’t care whether or not you are happy with what you get. From the bottom of my heart, DO NOT BUY INTO THIS APP! They will scam you and not help you. They will scrape any extra dollar and not care for their reputation. Is this what you want to buy into? I bet you don’t want that! So leave this app behind and move on to something better, because all you will find here are dollar craving, customer abusing and power thirsty thieves. The app works okay but every time you open it they ask you to upgrade to their premium service. Usually, at the bottom of the screen, in very small print, you can click “no thanks”. Recently I opened the app and the small print was NOT there and I couldn’t get to my content and I could not get out of the screen. Some how I purchased the premium lifetime subscription by accident. I immediately contacted them and asked to cancel it and process a refund. They replied immediately and advised me no, they won’t process the refund. They advised there is a 3 step confirmation before a purchase is made. I did NOT receive 3 steps to confirm a $149 purchase. I contacted them again and heard back a few days later. It was the same response from the same person. Their replies are scripted responses sent to all customers and have not attempted to address my concern. If you use the basic app beware, they will trick you into purchasing their premium service. I’m a “premium” member, have been for a few years, and this app has totally gone down hill in the past year. 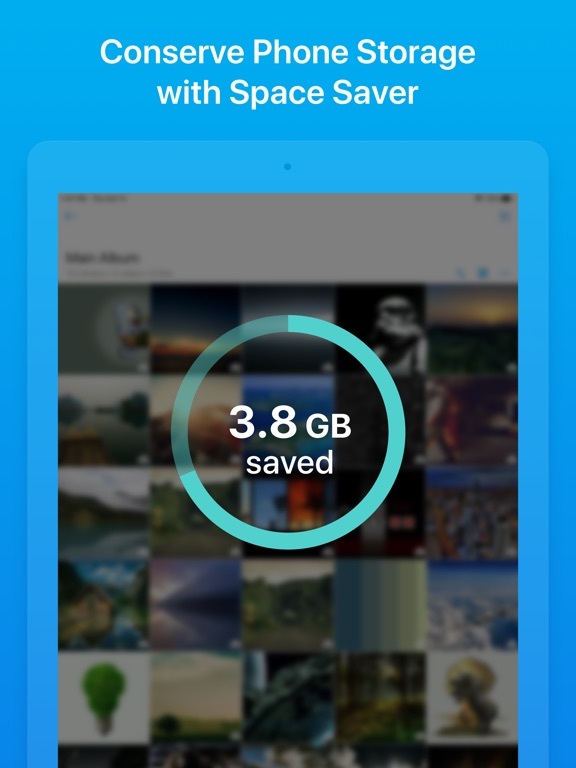 This app used to be fantastic for photo and video storage, a great UI and super responsive. I could get my photos to sync across my devices and they even offered a Mac app. One day the Mac app disappeared from the App Store, and they stopped updating it. It became very buggy very fast. Then I upgraded to an iPhone X. Now, with iOS 11, the app is constantly locking up my phone, forcing a hard reset. On top of that, if I add photos and then delete the app and redownload it, even days after the photos are supposedly uploaded to the “private cloud” the photos are gone. Not synced to my iPad or other devices, just gone. I’ve contacted the support team about this and their only solution was to delete and reinstall, which obviously doesn’t work. Very disappointed in an app that used to be worth paying the yearly fee for. I’ve used this app for a long time now, and have been a premium member for what feels like a year. However most recently I’ve found I can no longer upload anything to any of my albums. I checked my space thinking I had finally used up all 5,000 spaces, but I’ve found I’m only just under half that, and have plenty of storage on my phone itself as well. When I press the plus, and select “import”, I can select pictures and videos I want saved in the vault, but when I press the button to activate the upload, nothing will happen. The photo album closes but nothing gets uploaded. I’m hoping it can be fixed with a simple update, I’m not wanting to have to find another app for this, I love this one. App free version lets you have a free month of 'Premium' version features at first. Afterwards, switches to 'Basic' unless you pay a fee. All files are also stored on a private cloud in Premium & you can also select & delete album cover photos. 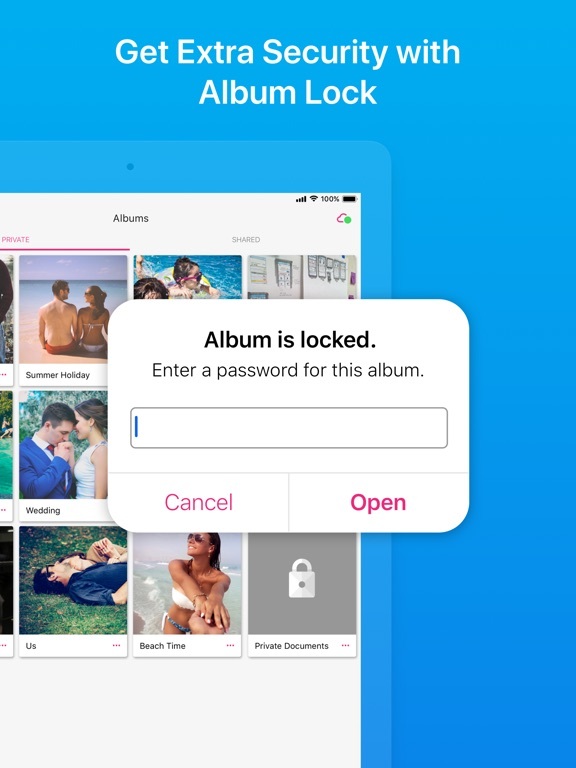 Basic let's you store photos on a camera roll & put in albums, but premium allows locking individual albums & condenses files. 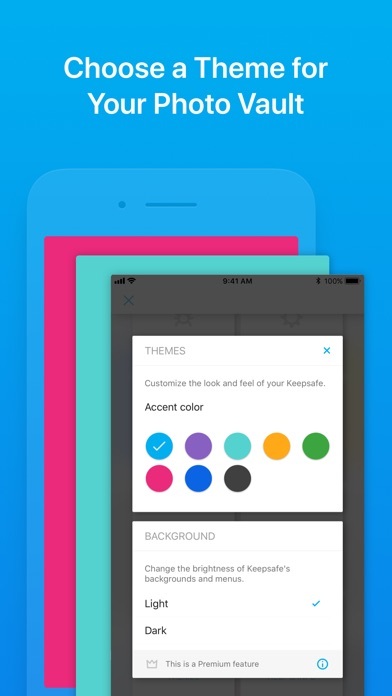 Adding a passcode to the app & editing the layout colors is included in both versions. Saving pictures to the app is too simple, requiring simply to select wants files while in your camera roll & click lower left to send/forward & choose the KeepSafe icon. This is the only app of its kind that I've used & have no other to compare it. thunder and lightning. take what is yours. da best application for photos and hiding sensitive material from those you love most. they will come for your photos, and all of your files one day. it may be them, or it may be someone. but it will be one of the people you know or one of the people you will know in the future. do not let them get a toehold. strike while the iron is hot. pincer movements and pressure. tempo is the name of the game. you dictate the time and the tempo. attack. push. prod. check. move. displace displace displace. that’s right. deceive them all. conquer them. take what is yours, give nothing back. America #1 super. this is not even a joke post. i believe in america and myself, and now i believe in you too. So I started off with the calculator version of this app which was great! 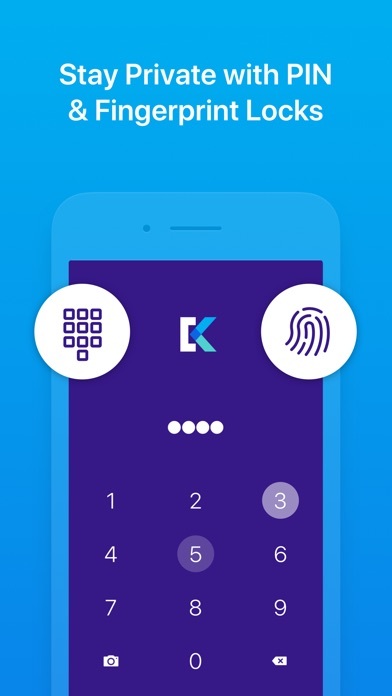 Kept all my passport, banking info, social security etc in this app to review but also feel safe in case someone were to somehow get into my phone. However, once that app was deleted from the App Store, this company charged me two yearly charges for the app and never refunded me or applied one of those payments to the following year. Outside of that, I gladly pay for the full access to get the most out of this app. Love the privacy and the storage. Today however after the update, I can’t seem to get passed the keypad. Totally frozen and then force quits. Fix please! Can’t upload or review my documents/files/ pictures. I have a workflow that has me sending 30-40 images from the keepsafe browser to the vault for later processing. My searches are random and i usually have many tabs open and want to be able to send images to the photo vault from any of them. What I have found is that the integration often fails while reporting success, and about 1/3 of the images are never saved. This has cost me much time and effort and some of my work is unrecoverable — i would have to scour history which i doubt KS keeps in order to reconcile images that I wanted to keep with images that PhotoVault allowed me to keep. Fatal flaw. Used to be nice...but not anymore! Expensive! Overall I used to like the app. Been using it for almost 2 years. But it’s been NINE months that I can’t import anything! It crashes the moment y press import or it freezes and then closes. There’s been a dozen updates, but none of them fixes the problem, im fact, it’s gotten worse! So sad, moreover when I have Premium for 24 dollars a year for an app that just doesn’t do the trick. Even more, the function to recognize duplicate photos was removed some time ago, it was such a great feature, too bad it was removed. I have an iPhone 6S, it used to work fine, now, it’s more of a hazzle than a tool. Smh... I really hope that the bugs were fixed, but their only answer is “restart your iPhone” but it simply does not work! I’m not one to give away money like that, so, of course, I’m not renewing mu subscription! The app is handicapped unless you want to pay. The app is great looking, Fast, responsive and easy to use. However the problem arises more when you want to delete files from their cloud services (which automatically upload without asking ahead). Unfortunately the customer support contact section doesn’t properly work at the moment, it just constantly requests for you to update even though the latest updates already installed. So while I’d love to recommend and use this app myself, I plan on deleting it as soon as I figure out a way to delete my files from their cloud services. Keep in mind this review is based off of the free model. I’m sure you may have a better experience if your willing to pay the monthly, yearly, or lifetime plans. Since I had the app and paid for the additional storage, I've lost pictures as well as video. The back up is extremely slow. When The app upgraded, it Wiped all of my pictures and videos from my cell phone. When I log back in and re-downloaded the pictures, several pictures and videos were no longer there. I love being able to upload pictures without opening the app but it's inconsistent. Because of Apple updates, the app does not work. Right now, I'm in the process of backing up the app on my Mac and it doesn't work. This app has been fantastic for me since I started using it about a year ago... but the app doesn’t seem to always work properly after upgrading to an iPhone X. Without fail, the app freezes on me and makes my entire phone non-responsive (or extremely slow to respond). Once I shut down the app, the rest of my phone returns to normal speed/functionality. Not sure what the bug is, but I really hope it gets identified and fixed so I can access my content again. Still giving it a 5 star since I don’t expect this issue to be a permanent thing. Do NOT Use This App!! I would give this app negative zero starts if I could!!! I’ve owned an iPhone since iPhone original and this is my first time writing a review ever!! That’s how much keepsafe has angered me!! People need to know that this software is crap!! I’ve had their service since 2013 and it deleted my photos little by little throughout the years. I finally see 0 photos, there’s just boxes where the photos once were. Customer service is a joke. They told me I lost my photos because I wasn’t updating the app. Which is pure BS. I always updated. 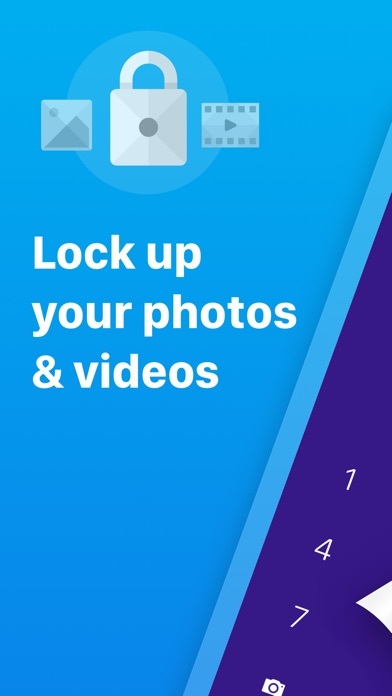 There’s another photo lock app that I’ve had even longer and ALL my photos are there. Customer service pretty much just told me, too bad. I have proof of it as well. I lost 200 photos DO NOT trust this app. Look elsewhere or you’ll lose your photos. I have been using this app for years! Absolutely love it and the new features that keep coming out. I am a paid member. And it is well worth your money! However I just updated and Apple’s “New Laws” state that in section 1.1.6 that there can be no “false information” and therefore we have lost the secret Door function. Shame apple. It’s a feature I pay for and I want it back!! Change section 1.1.6 of your guidelines!! Or find a loophole KeepSafe! Either way, 10 stars if I could. Keep up the great work KeepSafe!! You are one app I love to throw my money at! This app only locked out my pictures and photos on that app not on my actual camera app. It kind of disappointed me because I don’t like when people can see my camera roll. Not because I have anything inappropriate but because I just don’t like it. Anyways I got it because I thought it was going to lock out the actual camera app and lock my camera roll but only I could get into it. But no, it’s just a separate app that locked them out. So what is the point of the camera app if you just have this app. Anyway I loved that they made one just in case but I thought it would connect to my camera app. Good job though. Very easy to move pictures in an out of its albums. The minute you click away the app closes. I like that I can put pictures of my prescription medication bottles, passports and other personal documents in there as a backup and for reference. Also I put pictures of my young children that I don't want apps that access my photos to have access to. It's very hard to have privacy with iPhones and other devices in this age. Everything is very public. This app seems to do pretty good job of keeping some things personal. 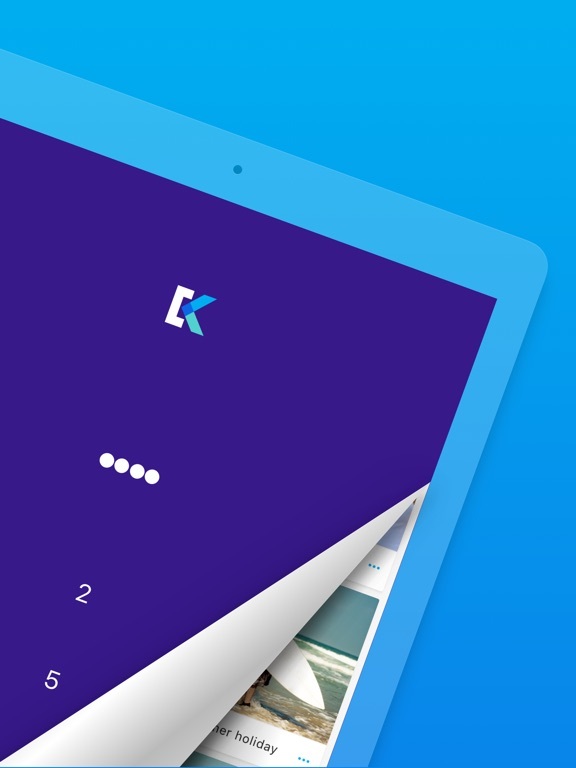 Keepsafe is for much more than keeping personal photos photos away from prying eyes. (Remember the office Christmas party?) I've took pictures of all my insurance cards so I don't have to carry the originals. Then when a doctor's office asks for the card number I just take out my phone and open the app. Same with credit cards, drivers license, passport, and serial numbers of computers and electronics. Of course the double password security helps me feel comfortable about saving this info on the IPhone. I can even store documents such as PDF files. And while the free version is great, there are incredible features on the premium plan. For instance, let's say you're suspicious that your roommate might be trying to get your credit info. With the premium plan Everytime someone enters the wrong PIN Keepsafe records when it happens as well as taking a stealth picture Brilliant! I love this app! 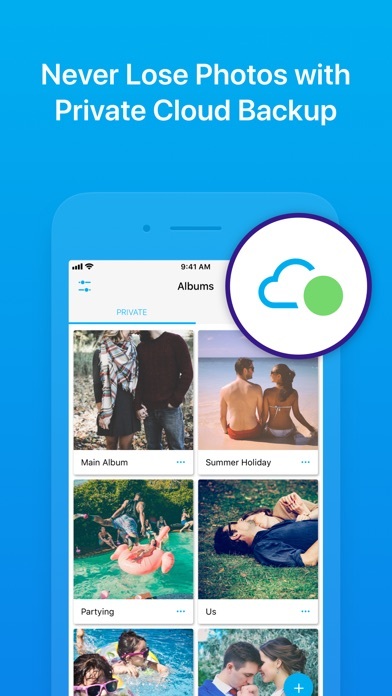 It saves your photos into a private cloud, and gives you complementary premium! 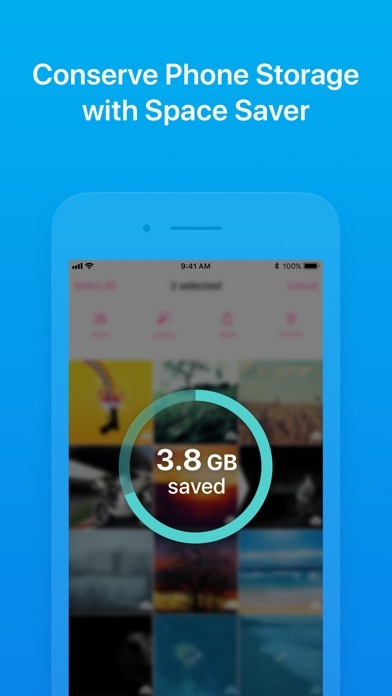 Premium allows you to save 5,000 photos to your Keepsafe! The fake passcode is awesome too. But I have one question, what happens to your private photos when you don't pay for your premium? I deleted all my private photos from my regular camera roll so I can't get them back unless I export them from Keepsafe. If I lose my premium, will all my photos erase? Because they're also special photos. 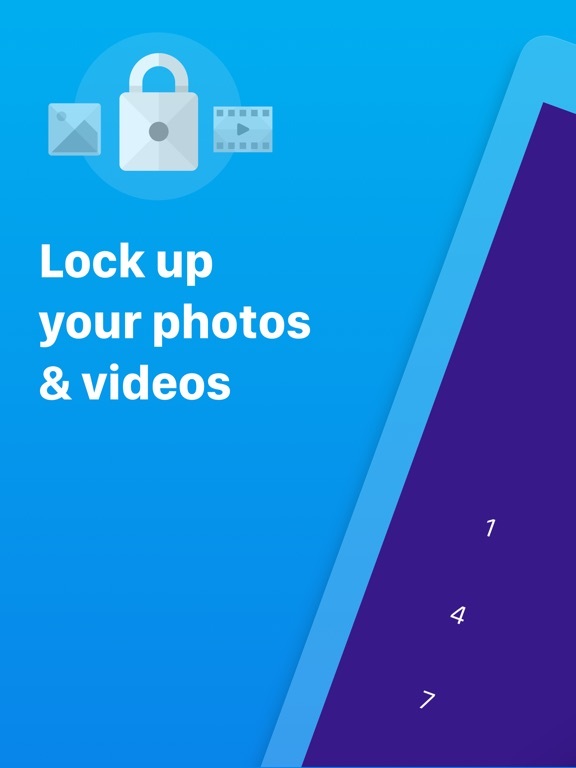 I’ve been using KeepSafe to store photos and videos that i don’t want in my gallery for all to see BUT what I didn’t know is that when your “free trial” runs out, they block you from your content unless you pay to upgrade or choose to downgrade. No problem, until you realize the downgrade takes about a million years and doesn’t run in the background. So I’m basically here with ALL my content locked up in keepsafe without access to it because I either have to pay $24 for a year (or $10 for a month??? Jesus Christ) or be doomed to holding my phone unlocked and unusable until they decide I’ve waited enough millennia to have MY photos given back to me. Not impressed and feeling pretty violated. App is great for storage but could use improvement. I’ve had this app for a while now and recently there have been some issues. I have an iPhone and whenever I try and import photos either an add will immediately pop up causing the import to stop or the photos simply will not import after selecting them from my gallery. Trying to import photos has become a hassle. In order for the photo or video to import I must attempt to import it several times. This needs to be fixed. Other than that the app is good for storage. This issue must be fixed in order for the app to be effective. My photos are missing from inside the app that I didn't delete them. The buttons on the app don't work. I keep putting in trouble tickets and sending emails and don't get any responses. I got a response twice saying please type your response above this line or put in a ticket through the app. I can't even put in a ticket through the application. I send emails to the support and still get no responses. The application takes my money for an app that doesn't work and I have premium. I called Apple to try to fix it but they said it's a third party app and I must go through them. I should have saved the money and tried another application because what I'm issuing for doesn't work and has lost all my photos. This app has been crashing my entire phone since about November 2017. It happens when I upload photos. It seems like a bug that hogs all the RAM in the phone and stops any and all operations until I force reset the phone. It also doesn't sync my photos across my devices. The storage management is inaccurate and has no actual function to help you control what's saved on the server and what isn't. It will say everything is backed up but the items don't appear on the other devices. This app used to work like a charm, but things have been going downhill over the past year. I’ve been using this app for about 3-4 years now and it’s been nothing but great. I like that it allows you to keep photos you may not want everyone to see locked by a pin. It’s been great as I said but lately it has been crashing. Every time I open the app and try to type in my pin I get about 2 numbers in and it just crashes. This problem has just started after it was updated and I hope that it gets fixed because I would hate to lose all of my pictures. This app is great. Simple and easy to use. Only issue I have now is not being able to log in to my account. I click on forgot password and a message appears stating something like to keep the account safe, they will send the password reset in 15 mins to my email. I’ve tried this several time and still have no luck. Today I tried and have been waiting for the email for over an hour. I haven’t been able to use this app for a few weeks now. I have more than a month since an update did not allow me to have access to the files I have protected. I have written several times to the technical service and the only answer that I have is "wait for the next update". It seems to me a disrespect that several weeks have passed and I still do not have access, I hope to solve this problem I have and I owe a compensation for the time that I have been able to access the application. I have a lot of photos on my camera roll of text convos with me and my boyfriend plus a few photos with him and I didn’t like the fact that someone could see them. 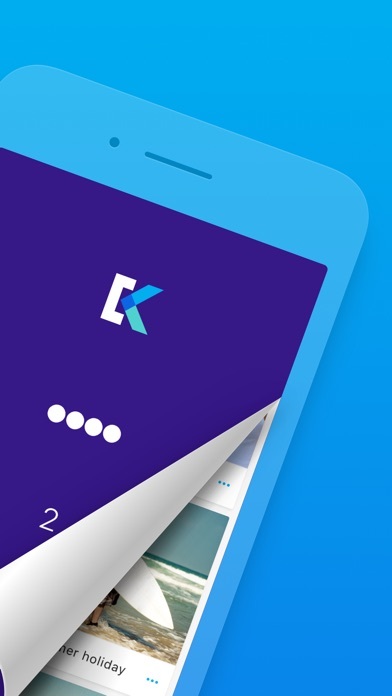 So when I discovered KeepSafe, it was a lifesaver and I love KeepSafe’s security system because you can add an extra password to your personal photo albums plus a fingerprint and a passcode just like you would on your iPhone. I would not make any changes to it at all. Loved this app for the longest time, even upgraded to the premium. That was until about a week ago. For some reason it will not transfer from my phone to the app. It has been a week and it still shows 13 files loading. I have emailed customer support and even sent them screen shots but the best I get is to clear the app so it is not running in the background, then open the app and wait 30 sec before entering in the pin. Guess what, your right nothing. A week since I sent my first email and still do not have the issue fixed or even attempting to be fixed. At first, uploading images was super fast. I like the option to delete the photos from your phone after they have been uploaded. But now it’s taking a much much longer time to upload the field and even longer to delete. I’m not sure if this is because of the number of existing files? I would be more than happy to pay for the yearly subscription, but this slowdown is going to be a game changer. I have been using Keepsafe for many years now. I can’t even count how long! I use the free version and it is just enough for me. I’m sure the subscriptions are awesome too. I use the app to hide my weight loss photos because to me, that’s embarrassing. I also hide my medical photos, because that’s also no ones business. Thank you Keepsafe for securing my private photos and sorry I didn’t do a review earlier. What's happening with the backup?!?! I have the app for a really long time and I love it... BUT I started to notice that cloud icon on my files and when I went to see what was happening the app is doing the backup on the cloud on its own, the backup toggle is off, the delete button keeps flashing and I can't click on it, that's private things your app it's uploading without my consent and I'm unable to delete for some weird reason. I don't even have a premium subscription. I hope this issue is fixed soon because the app was supposed to be safe and not do weird things like that. I don't have any problems having the app! It saves my stuff even when I don't have the app on my phone. I love the app. Very useful:) I’ve had it since I was young in age & still keep important stuff in there & it saves everything like iCloud. The iPhone X comes out which mines I will have to download KeepSafe again & I won’t have to worry because this amazing app keep my important stuff safe & in the cloud! Great app download it ASAP!